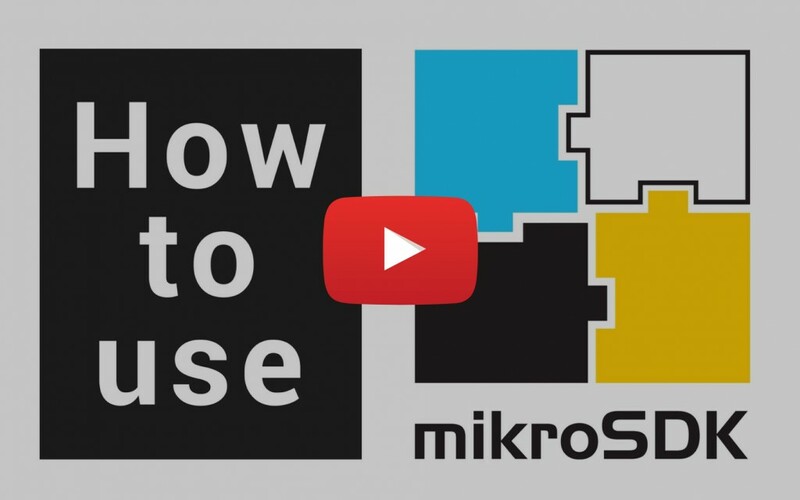 Do you need help using mikroSDK, our new Software Development Kit? We thought that the quickest way to assist you is to show you how we are using it. So, press play, and watch our new video. Biljana, who you may have seen in our "click per minute" series is going to take you through the steps. Biljana used different development boards, to show how easy it is to switch from one architecture to another with mikroSDK. Don't forget that our Holiday 10% discount is still on. Maybe you were planning to get a new compiler license. Our PIC compilers are the perfect shade of New Years's red. Maybe some LED click boards™ you can use for decoration. Or a new mikromedia development board. We're sure you'll find something. If you liked the video, subscribe to our YouTube channel. For more information about mikroSDK visit the official page.